In the 1870's Rodolph F. B. & Company, stationery, toys, and fancy goods, was at 1003 Broadwayy, near 6th, Oakland. 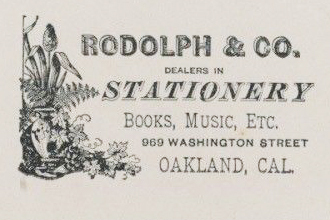 In 1886-92 he was listed as Rodolph & Co., F. B., 969 Washington Street, Oakland and a home at 966 Clay Street, Oakland. 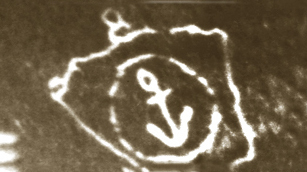 And in the 1880's Rodolph began doing printing work as well. 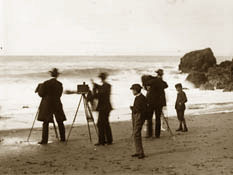 He was the treasurer of the Oakland Camera Club in 1889. 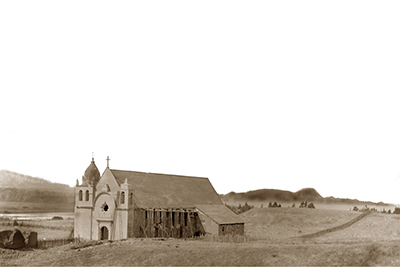 Many of his photographs were taken on his extensive travels throughout the San Francisco Bay Area, Sonoma County, Santa Cruz and the Monterey and other areas of California and the Calfornia Mission and Fort Point. "the Merry Tramps of Oakland." 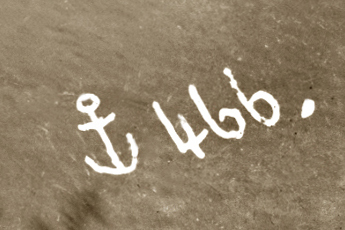 Rodolph would some times used a small ships anchor next to his numbers on his photos. He passed away on April 29, 1923 at the age of 80. By F. B. Rodolph 12 images including 6 5x8 glass plate negatives. Galleries of over 2,300 Photos available as Canvas prints, Framed Prints, Acrylic Prints and Greeting Cards. Prints are available from 11x14" to 40x60"